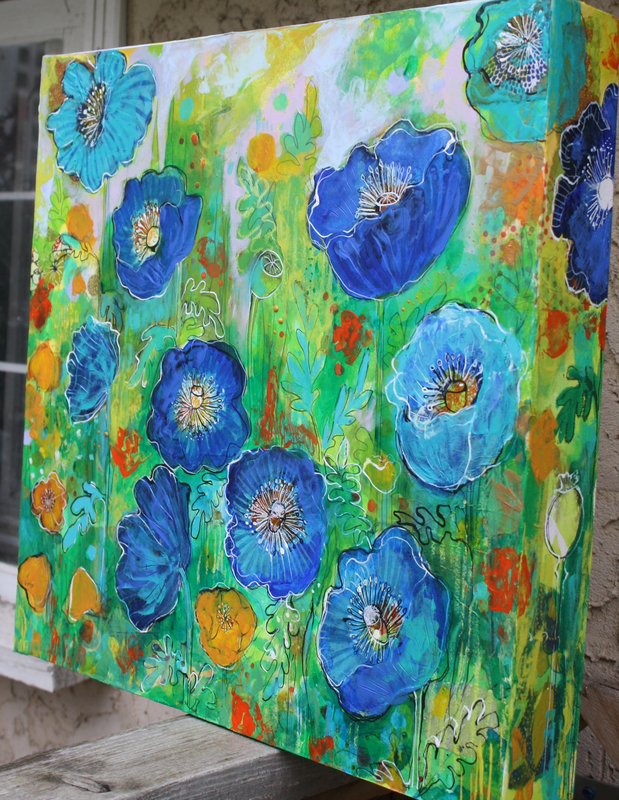 18″x18″ mixed media painting on paper covered canvas. The sides are 3″ deep and are a continuum of the painting. This painting will be at The Duxbury Gallery this weekend. Click HERE for more info. This entry was posted on June 19, 2013 by mpwynters. 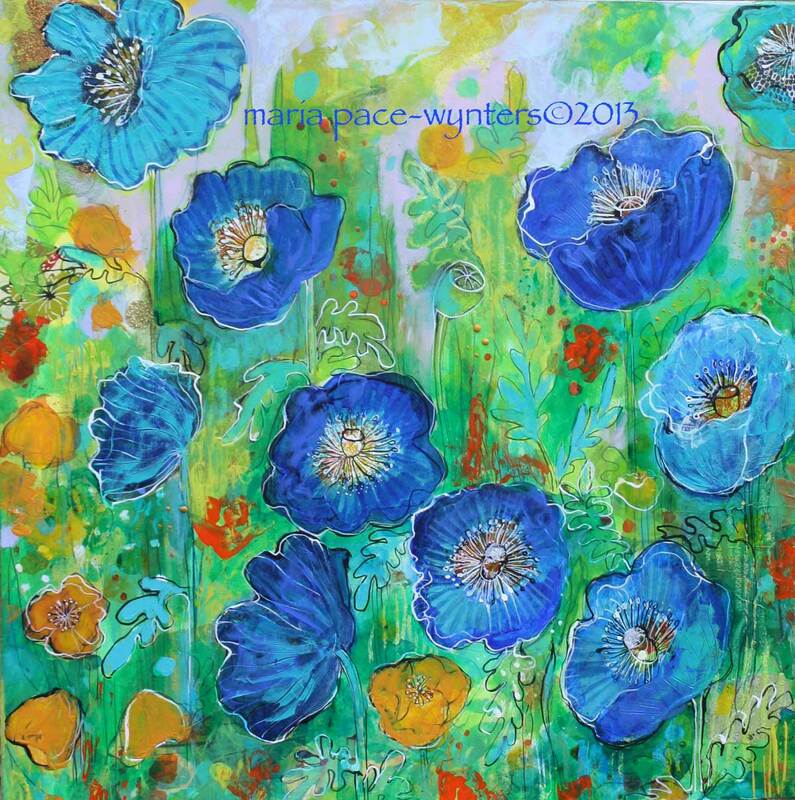 It was filed under Uncategorized and was tagged with art, blue poppies, duxbury road gallery, Edmonton, Maria, Maria Pace-Wynters, maria pace-wynters. 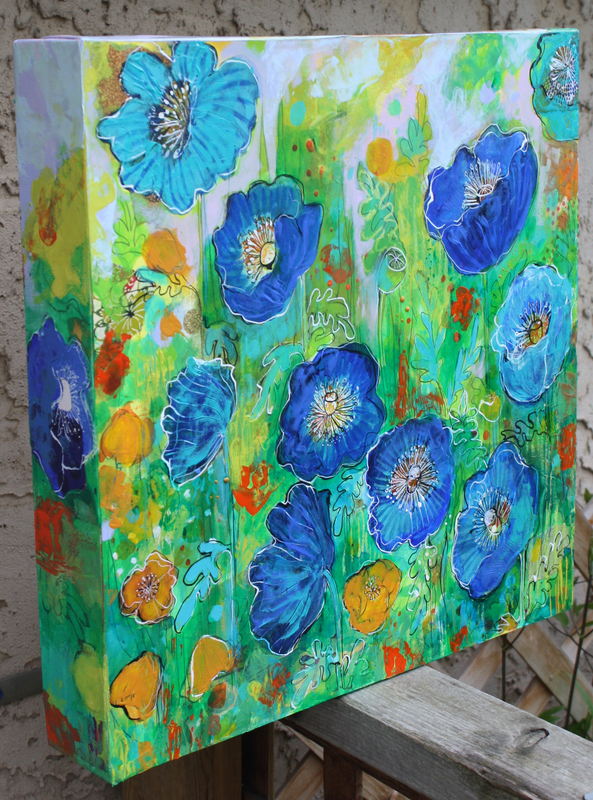 mixed media, mixed media, mixed media painting, original, original art, Pace-Wynters, Painting, painting for sale, poppies.